Adding to the rukus is Apple’s plan [press release here] to withold highly valued personal subscriber information from the publishers unless the buyer specifically opts to share the data. Apple also demands that all apps allow for in-app purchasing. On the plus side publishers can now sell subscriptions by the week, month, year or other period of time instead of hoping readers will buy each one separately. “We believe that this innovative subscription service will provide publishers with a brand new opportunity to expand digital access to their content onto the iPad, iPod touch and iPhone, delighting both new and existing subscribers,” Apple CEO Steve Jobs said in a statement. If the art of negotiation is finding and applying leverage, then the weight of Apple’s 15 million iPads in the marketplace and over 160 million users with credit cards on file surely sits heavily of the back of the book industry. Google has entered the discussion by offering a new payment system for digital content, charging publishers a more modest 10% fee and offering to share the consumer data with publishers. 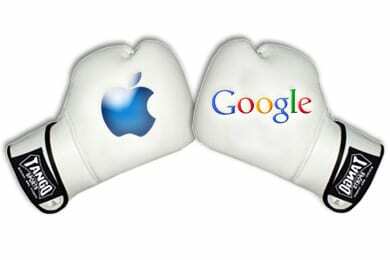 Tension has been building between Apple and Google for a considerable period now. They compete with mobile operating systems—Apple’s IOS and Google’s Android plus Google is rumored to be opening a music store soon. But what about consumers? Ultimately, Apple has to be careful not to upset the value proposition that drives them to purchase its hardware. For example, if Pandora apps are no longer available for the iPad or Rdio or Kindle books how will consumers react? And book publishers also have to carefully consider if they want to ignore the power of the Apple technology train and its dedicated cadre of consumers.